East Rennell makes up the southern third of Rennell Island, the southernmost island in the Solomon Island group in the western Pacific. 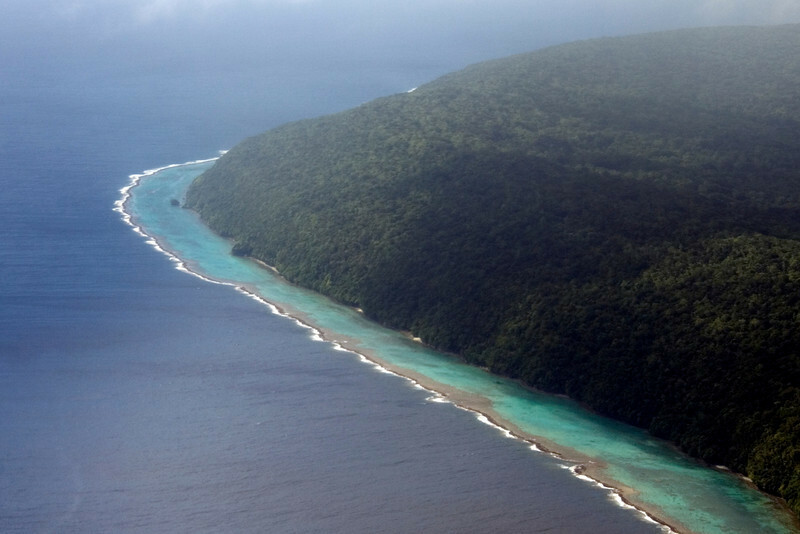 Rennell, 86 km long x 15 km wide, is the largest raised coral atoll in the world. The site includes approximately 37,000 ha and a marine area extending 3 nautical miles to sea. A major feature of the island is Lake Tegano, which was the former lagoon on the atoll. The lake, the largest in the insular Pacific (15,500 ha), is brackish and contains many rugged limestone islands and endemic species. Rennell is mostly covered with dense forest, with a canopy averaging 20 m in height. Combined with the strong climatic effects of frequent cyclones, the site is a true natural laboratory for scientific study. The site is under customary land ownership and management. 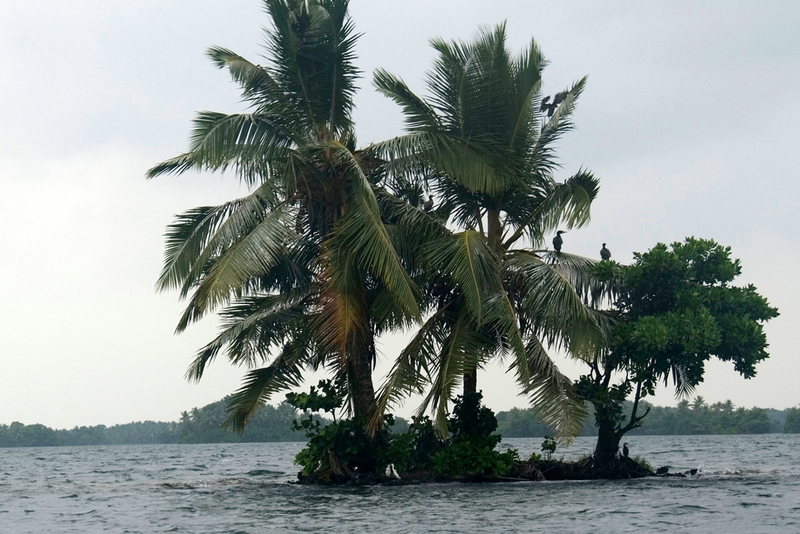 The photo above is that of Lake Lake Te Nggano on the island of Rennell in the Solomon Islands. The lake is a brackish water lake which is about 100m above sea level. 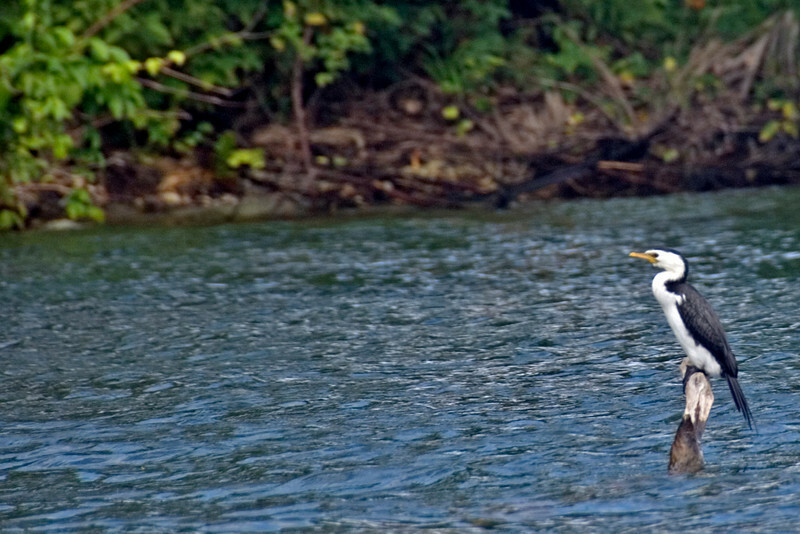 The lake is home to the widest diversity of birds in the Pacific. The World Heritage Site is unique for many reasons, not the least of which is that it is the only location which is owned by customary land ownership. The people of Rennell are Polynesian, whereas the rest of the Solomons are Melanesian. The remoteness of the island, coupled with the 100m cliffs surrounding the island, and the customary land ownership has protected the island from logging and mining, whereas the rest of the Solomons has been severely deforested. The large version of the panorama is an enormous photo, so it might take some time to load. My trip to Rennell was one of the most memorable of my trip, if only for the difficulty and remoteness of the island. You can read my three part report on Rennell here: part 1, part 2, part 3. Where is East Rennell Located? East Rennell is located in the southern part of Solomon Islands’ Rennell Island. It is also the southernmost island in the Western Pacific. The entire property covered within this UNESCO listing is estimated to be about 37,000 hectares. In order to get to East Rennell, you need to take a flight from Honiara to Rennell Island. From there, you have to drive through a rugged road that dates back to World War II. It is one of the most difficult to visit World Heritage Sites listed by UNESCO. There are several villages that surround the lake and most of the island. The villagers use power boat as a means of transport and for fishing. 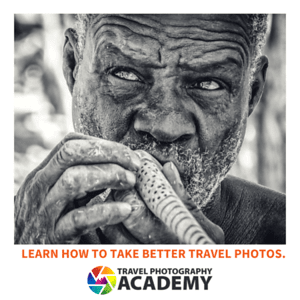 The villagers lead a relatively remote and simple life. The only real way to get to the island of Rennell are flights on Solomon Airlines which fly from the capital of Honiara a few times a week. Once you are on Rennell, you have to travel by land to Lake Te Nggano. While only 20 miles, this part of the trip can be incredibly long. It is also the most expensive part of the trip, as getting cars and fuel on the island can be very expensive. Once you reach the lake you have to take a boat to one of the lodges which are on the other side of the lake. Expect the trip to take the better part of an entire day. The World Heritage property of East Rennell comprises a third of the Rennell Island’s southernmost part and includes up to 3 km of marine area located offshore. Lake Tegano is one of the primary features of this property. It was the former lagoon of the atoll and is the largest lake in the Pacific region. The brackish water is a notable feature of the lake along with the rugged limestone islets that surround it. The ecological and biological processes in East Rennell combine to offer it natural value enough to be named a UNESCO World Heritage Site. In addition, it is the site of frequent cyclones and other similar climatic conditions making it the perfect place to study the effects of the climate on an island. Finally, East Rennell is notable for providing a natural habitat for a high number of endemic avifauna species. There are also 10 endemic plant species in the island. East Rennell is included among the List of World Heritage Sites in Danger. The threat of logging in Rennell Island continues to deplete the outstanding natural value of the island and its surrounding features. Prior to the logging problems in East Rennell, the authorities have been able to curtail mining and commercial fishing, which also posed a huge threat to the integrity of this UNESCO site. 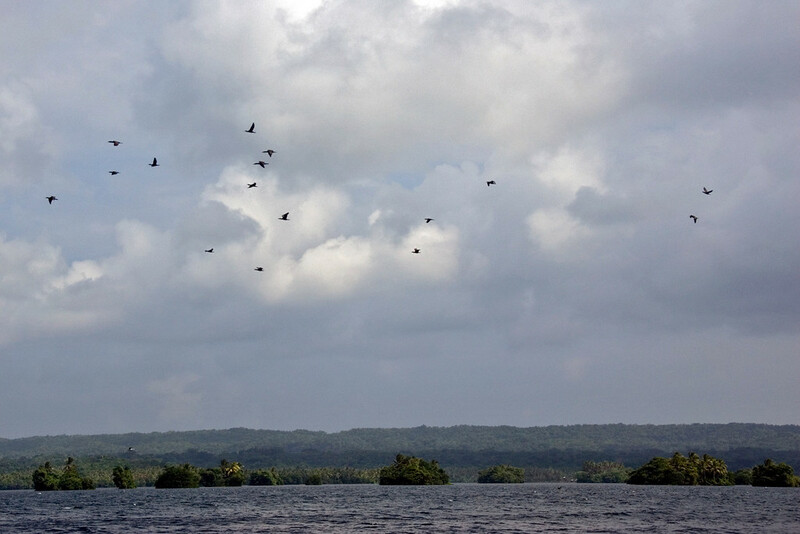 The logging continues to be an issue and it could threaten the long-term survival of the endemic bird and other wildlife species that inhabit the ecosystem and forests in East Rennell and all of Rennell Island. View my complete list of UNESCO World Heritage Sites in Solomon Islands. Great shot Gary! One small correction to your description – there are actually a few other Polynesian groups in the Solomon Islands namely on Anuta, Bellona (same language as Rennell), Ontong Java, Pileni, Sikaiana and Tikopia. Do you have a panoramic camera or do you stitch these together digitally? Hurrah for ADSL, because it didn’t take *too* long to load for me. It’s gorgeous. What’s the viewpoint like — is it just a summit or is there a building, or what? Took forever to load, but oh so worth the wait. Another stunning shot! !